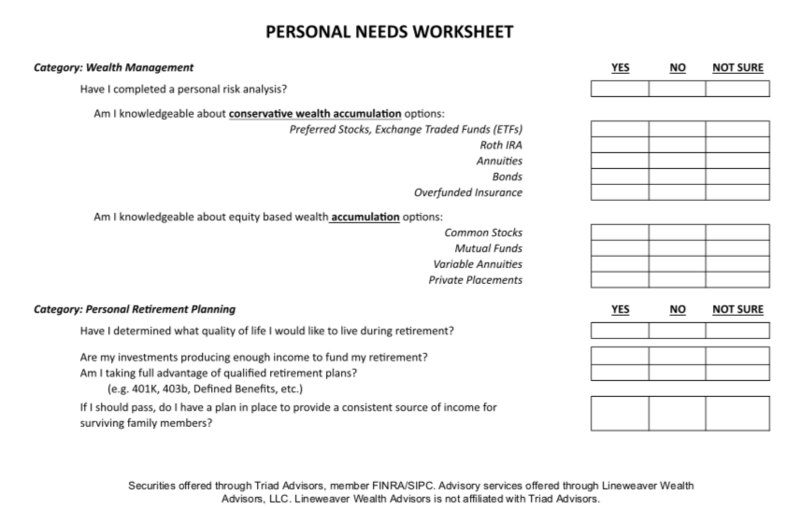 We are happy to help you complete your Personal Needs Worksheet. These become the basis for working with you and your family to then develop the best customized retirement plan to fulfill all of your objectives. These are just a handful of the many areas that need to be addressed and constantly re-evaluated and consistently reviewed to ensure a comfortable and enjoyable retirement. We have helped many satisfied clients successfully prepare for and navigate through their retirement.